Colombia’s defense minister has clashed with the United Nations over a report that criticized increasing violence in the South American country. 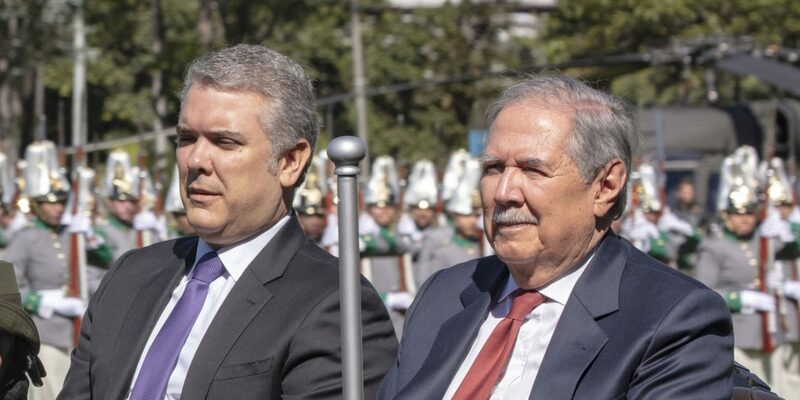 Defense Minister Guillermo Botero challenged the United Nations High Commissioner for Human Rights’ claim in her recently published annual report that Colombia saw an upsurge in violence last year. According to national police statistics, in 2018, 49.5 per cent of municipalities reported an increase in homicide rates with respect to 2017. For example, in the municipalities of San Jose de Ure in the department of Cordoba and Barrancas in the department of La Guajira, the homicide rates rose by 1,473 per cent and 880 per cent respectively. OHCHR has observed that, in 2018, the number of massacres increased by 164 per cent with respect to 2017, going from 11 to 29 cases. In 2018, such cases were concentrated in Antioquia, Cauca, Norte de Santander and Caquetá. OHCHR has noted more cases of murder of human rights defenders in the first three of those departments. The Defense Minister stopped reporting on violence in October, but according to National Police statistics and local media, both homicides and massacres did go up last year. But according to Botero, the UN claim that 29 massacres took place in 2018, representing a 164% increase from the previous year, is also false. The Defense ministry reported that 78 people were killed in massacres in 2018, a 37% increase compared to the year before, but never revealed December’s statistics. The UN report identified a wide range of structural problems within Colombian society that is causing violence and called on the administration of President Ivan Duque to do more. This related mainly to government neglect of certain areas and its failure to implement many aspects of the peace process, which was negotiated by Nobel Peace Prize-winning president Juan Manuel Santos. “OHCHR observes that 93 per cent of the cases it monitored were in regions with structural causes linked to a persistent lack of access to rights by the population – primarily to justice and to economic, social, cultural and environmental rights,” read the report. The above-mentioned structural causes derive largely from the weak or even lack of State presence in certain rural areas, as recognized by the President in his inaugural speech. They also stem from substantial delays in the implementation of the peace agreement, especially regarding comprehensive rural reform and the substitution of illicit crops. In order to mitigate the risks for human rights defenders, the State should maintain its presence, including through civilian authorities, recognize and promote the participation of civil society with full guarantees of association, assembly and expression, and accelerate implementation of the peace agreement in the regions concerned, which would support the work of defenders by expanding civic space. In particular, the report criticized the current administration for its ongoing resistance to the establishment of the Special Jurisdiction of Peace (JEP), which aims to try those guilty of war crimes over the course of more than half a century of armed conflict. Duque’s party, the far-right Democratic Center that is led by former President Alvaro Uribe, has opposed the peace process that is monitored by the UN since before it began.